Help our Lions Club reclaim our lost gumball and candy machines in Blount County. Proceeds help us provide eyeglasses to those in need. 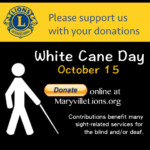 What is White Cane Day? 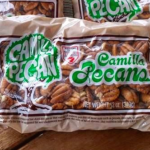 Our nuts are not only the freshest you can buy, but help fund free eyeglasses to local residents who can’t afford them. Reserve yours here!